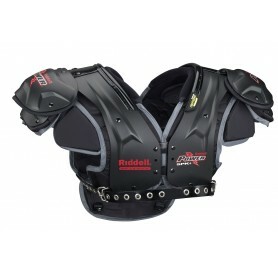 Strength and protection are the two most important things to look for in a shoulder pad and the Riddell Power SPK+ Adult Football Shoulder Pads deliver in both areas. 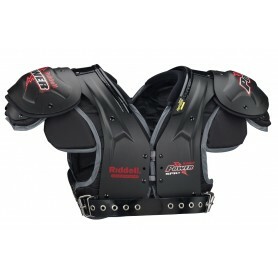 With a new corrugation pattern built for power, these shoulder pads are even better than their popular predecessors. Replacing the Riddell Power SPK LB/FB, the SPK+ LB/FB features Riddell RipKord Technology, the STAC shoulder system, swivel fronts, an attached back plate, biothane STAC straps and belts, a flat pad design, the air management liner system, removable/adjustable bodies, stainless steel hardware, and velvet collars. Replacing the Riddell Power SPK QB/WR, the SPK+ QB/WR features Riddell RipKord Technology, the STAC shoulder system, swivel fronts, a removable back plate, biothane STAC straps and belts, a flat pad design, the air management liner system, removable/adjustable bodies, stainless steel hardware, and velvet collars. 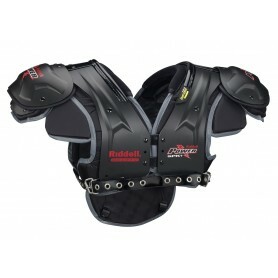 Replacing the Riddell Power SPK RB/DB, the SPK+ RB/DB features Riddell RipKord Technology�, the STAC shoulder system, swivel fronts, an attached back plate, biothane STAC straps and belts, a flat pad design, the air management liner system, removable/adjustable bodies, stainless steel hardware, and velvet collars. 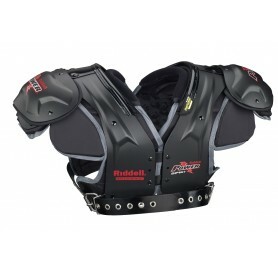 Replacing the Riddell Power SPK OL/DL, the SPK+ OL/DL features Riddell RipKord Technology�, the STAC shoulder system, swivel fronts, biothane STAC straps and belts, a flat pad design, the air management liner system, removable/adjustable bodies, stainless steel hardware, and velvet collars.